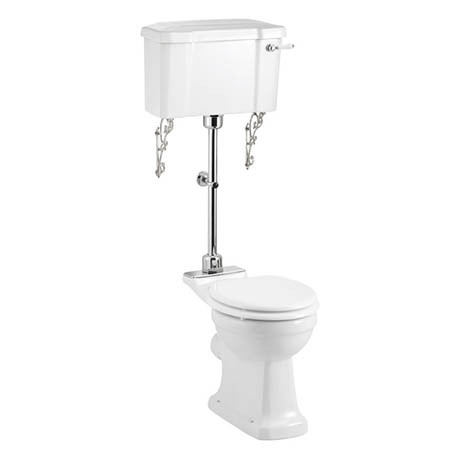 This Burlington Medium Level WC features a rimless design making it easier to clean, a more efficient flush and leaves nowhere for germs to hide. The pan is coated in Nanoglaze which is a unique coating used within the production process to create an ultra-smooth ceramic surface making them exceptionally easy to keep clean. All Burlington WC fittings are WRAS approved and come with 3/6 litre flush as standard (push lever down for 6 litre flush, push up for 3 litre flush). Burlington offer A 25 year guarantee on all their sanitary ware.